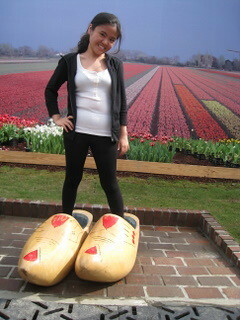 Girl Kuripot Girl Kuripot: iFly, Win a Trip to Holland! This is a chance to win a trip for 2 to Floraide 2012 in Holland! Admire the one of the world's best gardens. All you have to do is to register with your details and KLM will take care of your plane tickets for 2, a 3N stay, Floraide 2012 tickets and many more! You have until March 18, 2012 11:59 p.m. CET. Click here to join the iFly Win a Trip to Floraide Holland Promo.